I like to add the peppers in the last 30 minutes to keep them from getting mushy. Just cut them up in the morning and stash them in the fridge until you get home, then there is no work to be done before dinner. In a slow cooker, add roast and onions and top with beef broth, salt, pepper, oregano, basil. During the last 30 minutes of cooking, remove the roast from slow cooker and shred the meat with a fork. Return the meat to the slow cooker, add the peppers, and cook for an additional half hour (or until ready to serve). For serving, preheat broiler. Add beef, onions, and peppers to the hoagie rolls. Top with sliced Provolone cheese. Broil until cheese is melted and bubbly, 2-4 minutes. 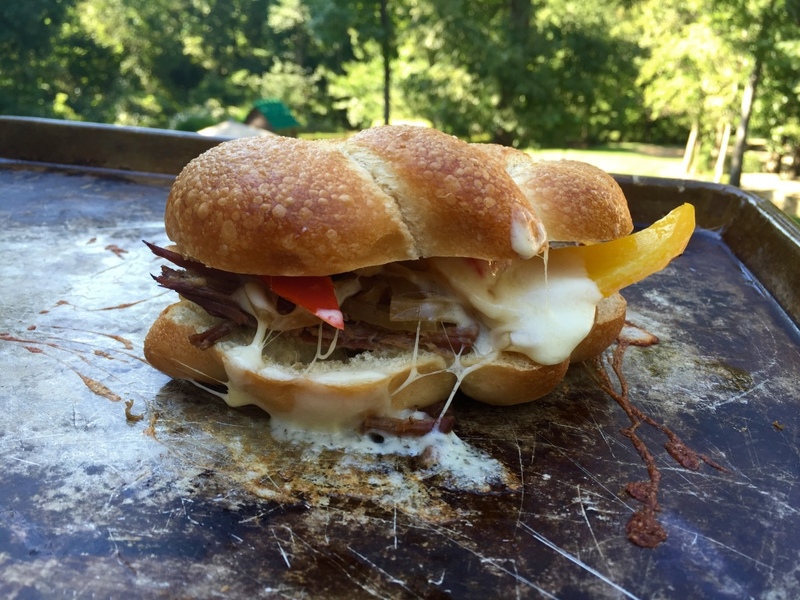 Copyright © 2015 Our Everyday Dinners - This is an easy recipe for how to make Slow Cooker Philly Cheesesteaks.